Reliance Jio Once Again renewal his Plans and Launches Republic Day Offers. User can get pay fifty rupees less and fifty percent more data benefits on recharge plans below. 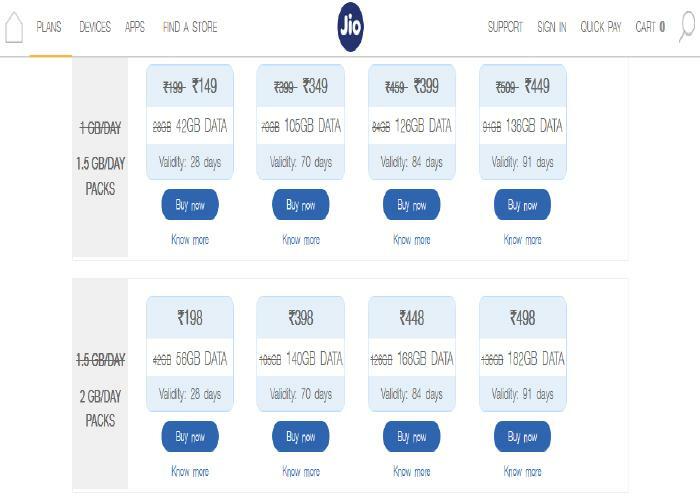 This Jio Tariff Plans are available from 26th January 2018 on Republic Day. User can choose the best suited plan and recharge according to their data needs.